The Gruffalo Spotter has been designed for exclusive use at 26 forests across England where visitors can join the adventure through the deep dark wood. The trail will open at Gisburn Forest on 24 February 2017. 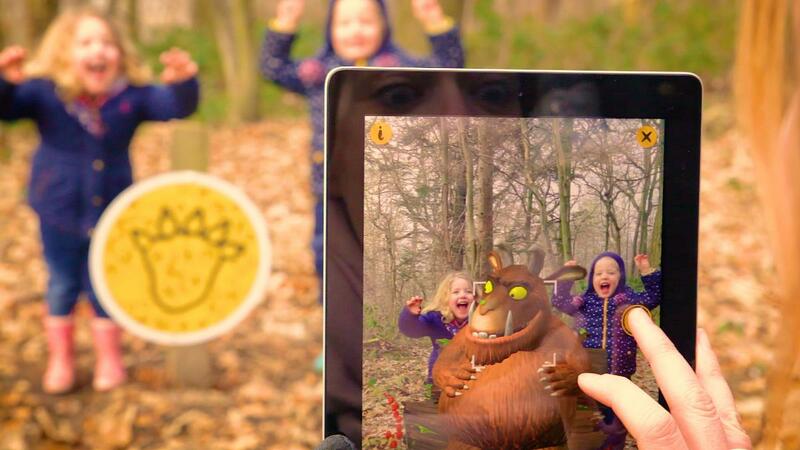 The Gruffalo Spotter app has been developed and animated by Nexus Studios and is available for free with no in-app purchases from the App Store, Google Play and Amazon. A Gruffalo Spotters kit will be available to buy on site and includes animal facts, tips for tracking wildlife, an evidence collection bag, a magnifying glass and a pencil to make a note of your forest finds! The Gruffalo Spotter app will launch from 20 February and the trail at Gisburn Forest will run until December 2017.